What is supply chain management? Most of us have come across the following two words very frequently – Supply chain management (SCM) & Operations management (OM). Do they mean the same thing or are they totally different from one another. These are some of the questions that need to be answered before we find out the ‘IT Woes in Supply chain management’. While there are many definitions of Supply chain management, my favourite definition is that of Cooper & Ellram - “SCM is an integrative philosophy to manage the total flow in the distribution channel from the supplier to the ultimate user”. Operations Management is responsible for supplying the products or services of the organization and managing the transformation process that converts inputs into outputs. On the other hand, SCM is a melting pot of broad based functions which encompass all of the business and operational processes involved in Logistics (transportation), Operations Management, Materials distribution management, marketing, as well as purchasing and information technology (IT). Thus, OM encapsulates SCM. Over the years, SCM as a concept has evolved at a rapid pace simply because it plays such a significant role in the firm's performance. Earlier it was the manufacturer who decided the pace at which products were manufactured and distributed. Now, the customers demand various styles, designs, features in their products within a shorter time period and with better quality. 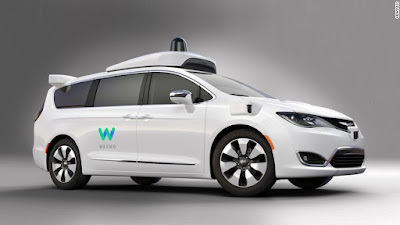 Earlier quality of the products used to be a critical factor but now meeting customer’s specific demands for product delivery has also emerged as the critical opportunity for competitive advantage. Overall demands for increasing transparency of corporate activities, sustainability of business, corporate social responsibility and corporate governance has led to large number of researches on topics - ‘Sustainable Supply Chain Management’ and ‘Green Supply Chain’. In the current competitive scenario SCM assumes a significant importance as companies are challenged with finding ways to meet ever-rising customer expectations at a manageable cost. To do so, businesses must search out which parts of their supply-chain process are not so competitive, understand customer needs which are not being met, establish improvement of goals, and rapidly implement these necessary improvements. Companies all over the world are going global. In such a globalized business scenario characterized by geographically spread markets, raw material procurement sources are across the world. This has led to the sixth era in the evolution of SCM. The era of World Wide Web that is meant to increase creativity, information sharing, and collaboration amongst users. Global supply chain business has been fuelled and enabled by the IT Technology which has redefined all aspects of business today by opening up the geographical boundaries. All businesses today are run on ERP (Enterprise Resource Planning) which provides the organization with tools to manage all of its functions including procurement, production, sales and financial management in a seamless and integrated manner. 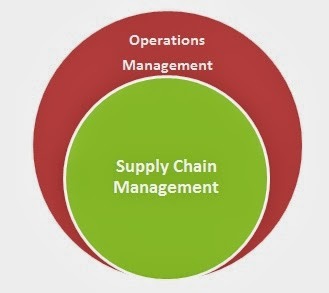 FLEXIBILITY:Most multi-national companies find that their SCM (Supply Chain Management) operations across the world are managed not by one application or a set of applications, but each location and country would have implemented their own systems to manage individual local logistical activities. Once implemented, it becomes difficult to isolate such applications and shift them to one common platform without which common processes and standardization cannot be driven across locations.Secondly any software solution would require customization to suit the local site and country requirements. One solution does not fit everyone. While the solution may work in one country with bigger volumes or size of the supply chain network and warehouses, the same software might not be suitable for implementation in a small country with one location. HIGH RISK AND COST:When a particular project proposes to introduce a system across all areas in the supply chain network to bring about seamless integration and common processes, it fails to account for the cost of technology and capability of all countries and locations to absorb this cost. The costs of IT implementation are exorbitant. Larger companies may be able to pay for the IT cost but if the same cost is expected to be paid out of another company which has smaller volumes, it may not be able to absorb the cost, unless the global project management is able to absorb the costs into the project cost or get corporate management to absorb the cost and take it off from the user country’s budget.Also, implementation of technology calls for the IT teams to travel to all locations, implement the set-up Train the people and stabilize the sites after the implementation process. The cost of implementation can run high. Again all countries may not be able to bear the cost of such implementation.In a project environment with stringent deadlines, implementation process has to be time-bound, error free. Implementation would be required to be done in a phased manner so as to not result in any delays in the on-going projects. A lot of planning is required regarding the time of implementation, phases of implementation. Extensive training need to be given to ensure there is no delay. Only a very good understanding of the functioning and the inter-dependencies of the various departments in the company will ensure first time right implementation. AVAILABILITY OF TECHNOLOGY INFRASTRUCTURE:For a multi-national company, technology and infrastructure availability is different between countries and also within the country. Internet connectivity and the bandwidth available may not be the same across all locations which can deter the implementation of an internet based technology application. Normally in case if the project is driven at a more global level, then local infrastructure issues of many countries do not figure while considering the suitability of IT platform for implementation. INTERNAL & EXTERNAL RESOURCE CAPABILITY:Mostly all supply chain projects involve multiple locations and cross functional departments and teams within the organization. They also include multiple external agencies that manage the logistics.Driving projects through various country managements requires an enormous amount of internal selling. The projects also call for external selling with the customers and the suppliers. Suppliers and customers to be integrated through this system may or may not have the same interest and commitment to the project. They might show reluctance towards the usage of this new system and might also not have the level of competency required to deal with the changes. This is one of the major challenge faced by Project Managers, to be able to sell the idea and get commitment from all stake holders.The ready availability of quality resources both internally and externally in all locations is critical to the implementation of the project and is often a challenge which can hold up implementations and training. OPEN,MODULAR SYSTEM ARCHITECTURES:Currently in a vast number of companies IT is being used to implement a transaction management system. This enables them to cover most of the transactions in the various functional departments of purchasing, production, sales, distribution, HRM and F&A. Typically; they integrate transactions across different geographical or business units. In this sense, they are a great improvement over the fragmented patchwork of local systems that they tend to replace. The challenge for current IT systems is to move towards something more modular, Internet like system architecture. This would also improve information exchange with all the players in the chain and improve communication with the final customer, directly of via customer systems.The upcoming trend in companies will be that of a single tenant based cloud application. The idea is to make the process more agile and to create an environment of collaboration not only within a company but also amongst the companies on the cloud. It would attempt to make the company’s process of adding and subtracting the network of suppliers a lot more easy. The primary benefit would be that the companies would be able to switch between the suppliers a lot more easily, making the firms more competitive. A journal on ‘Core issues in Supply chain management’- a Delphi study by Stefan Seuring and Martin Müller University of Kassel, Department of International Management, Witzenhausen, Germany; University of Oldenburg, Chair for Production and the Environment, Oldenburg, German. A journal on ‘Optimization problems in Supply Chain Management’ by Mar´ıa Dolores Romero Morales. A journal on ‘Supply Chain Management: LiteratureReview and Some Issues’ by Jinesh Jain, G. S. Dangayach, G. Agarwal, Soumya Banerjee,Department of Mechanical Engineering, Malaviya NationalInstitute Technology, Jaipur(India). A journal on ‘Supply chain Management: Practices, concerns and performance issues’ by Keah Chun Tan,University of Nevada. A journal on ‘The impact of ERP on supply chain management :Exploratory findings from a European Delphi Study’ by Henk A. Akkermans, Paull Bogerd, Enver Yucesan, Luk N Van Wassenhove, ISEAD.